Are you ready for your next family adventure? Do you need a midsize SUV that makes room for family and friends? Look no further than the 2019 Toyota Highlander near Bangor, ME. Armed with an athletic personality and engine options to match, a family-friendly cabin and an affordable price tag, the world-class Toyota Highlander is a fan favorite at Downeast Toyota. 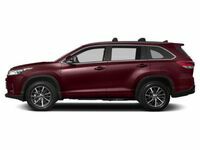 Families who have their hearts set on the 2019 Toyota Highlander will have a choice of five standard trim levels – LE, LE Plus, XLE, SE and Limited – that will start at just $31,330. When you upgrade to the family-friendly, fuel-efficient Toyota Highlander Hybrid, you will have a choice of three grades – Hybrid LE, Hybrid XLE and Hybrid Limited. To make the latest Highlander even more attractive, you can opt for the blacked-out Highlander Nightshade Special Edition. What Are the 2019 Toyota Highlander Engine Specs and Features? Much more than your average, everyday family hauler, the 2019 Toyota Highlander near Bangor, ME provides families with an athletic, exciting day-to-day commute. 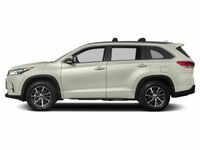 Entry-level Toyota Highlander trim levels are powered by a 185-horsepower 2.7-liter four-cylinder engine that pairs with a six-speed automatic transmission to achieve 20 mpg in the city and 24 mpg on the highway. Families who want a little more excitement can upgrade to a 295-horsepower 3.5-liter V-6 engine that is married to an eight-speed Direct Shift automatic transmission to earn 21 mpg in the city and 27 mpg on the highway. When properly equipped, the 3.5-liter Highlander will tow up to 5,000 pounds. An element that sets the Toyota Highlander apart from many competitors is the availability of a power-packed and fuel-efficient hybrid powertrain. Armed with a refined 3.5-liter Atkinson-cycle V-6 engine that pairs with two high-torque electric motors and a Continuously Variable Transmission, the Highlander Hybrid will manufacture 306 horsepower and will earn 30 mpg in the city and 28 mpg on the highway. Equipped with an Electronic On-Demand AWD system with intelligence, the Toyota Highlander Hybrid is tailor-made for winter weather. Perfect for family adventures, the 2019 Toyota Highlander is loaded with features that will cater to kids and adults alike. Entertainment starts with a standard 6.1-inch Toyota Entune™ touchscreen infotainment system that employs Bluetooth and can be upgraded with an 8-inch touchscreen, an integrated navigation system and a 12-speaker Premium JBL® Audio system. Families who put a premium on safety will love the standard Toyota Safety Sense® collision-prevention systems that include a Pre-Collision System with Pedestrian Detection, Lane Departure Alert with Steering Assist, Automatic High Beams and Dynamic Radar Cruise Control. Additional Toyota Highlander highlights include a rear entertainment system and the Driver Easy Speak feature.